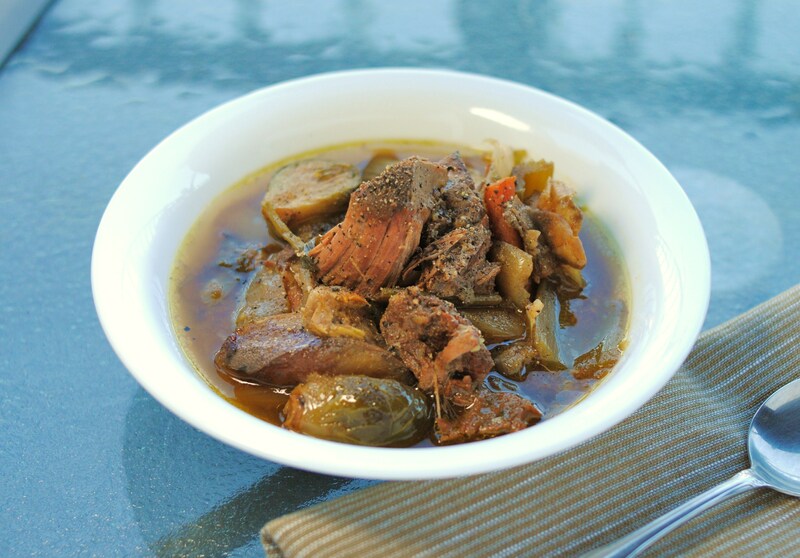 Pot roast is one of the easy, stand-by comfort foods, and so simple when you have a crock pot. Cooking time with a crock pot is about 5 hours, so be prepared to wait for the low-amine pot roast goodness to be done. To change things up a little bit, I’ve made this low-amine pot roast very allergy-friendly and added Indian flavors to it, rather than the traditional savory low-amine pot roast seasonings. Turn on crock pot and set to cook on high for 4 1/2 hours, and keep warm after that. Put low-amine chuck roast beef in the bottom of the crock pot. Add all spices to the bottom of the crock pot, except cornstarch and broth. Chop all your low-amine vegetables in large bite-sized pieces. Add to crock pot. 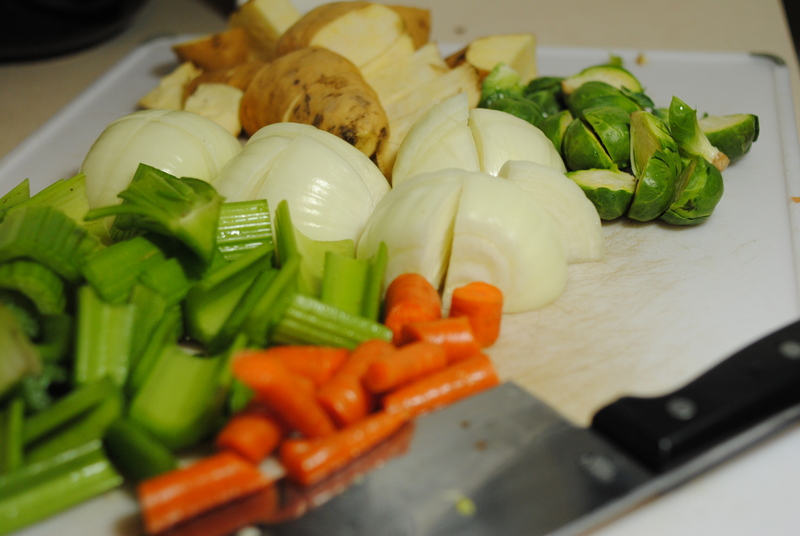 Chopped vegetables for the low-amine curry cumin pot roast. 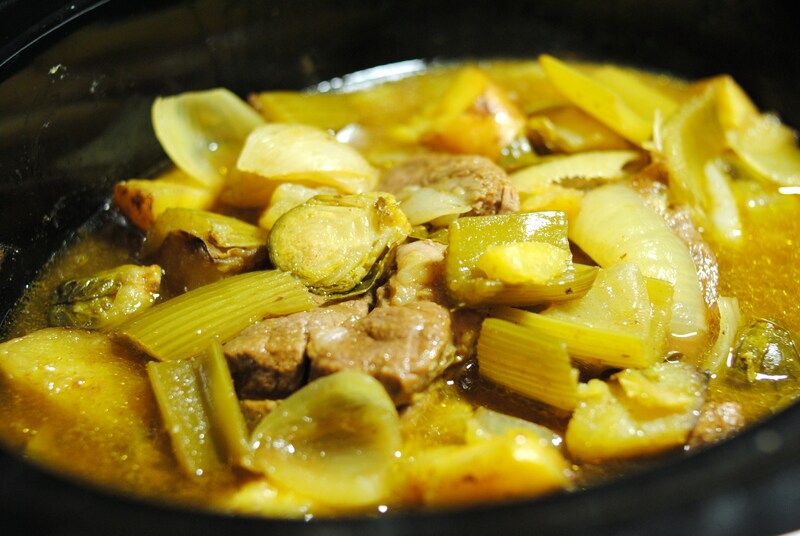 Mix cornstarch in with broth and pour over into the crock pot. Cover and cook for 4 1/2 hours. Low-amine curry cumin pot roast, 3 hours down, 1.5 to go. Serve with rice, toast, or on it’s own.